Since becoming implicated in the global obesity crisis, manufacturers of energy-dense, nutrient-poor, foods have developed sophisticated marketing strategies to rehabilitate their brands. These strategies shift responsibility from corporations to consumers, pre-empt policy, and support sales. This seminar will briefly review marketing strategies before exploring recent debates and implications for public health advocacy. Janet is a professor in the Departments of Public Health and Marketing. Her main research interests are in the public health-marketing-policy nexus, and she has mostly been involved in the smokefree and nutrition spheres. 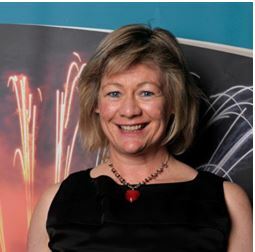 Janet is co-Director of ASPIRE 2025, has been a member of several NGO and government advisory groups, and has published widely on smokefree initiatives. Thank you to Weave Together for their support.